Brain frazzled at the end of a long, tedious week? Here’s some short paragraphs about stuff, that won’t tax you too much. 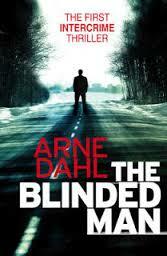 Random House have released the first of Arne Dahl’s Intercrime books, The Blinded Man, to tie in with the Arne Dahl series currently showing on BBC4 on Saturday night. Those of you who are driven to apoplexy by lazy, cliche phrases may want to look away now… Arne Dahl is the latest, yes, Scandanavian crime sensation. He’s quite a big deal on the continent, where he’s sold two and a half million copies of his books. The second book in the Intercrime series, The Blinded Man was first published back in 1999 and Dahl – real name Jan Arnald – has written a further nine novels in the series, which is about an elite police team in Sweden. 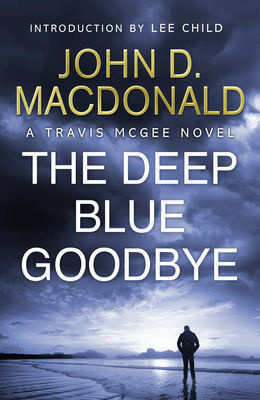 Meanwhile John D. McDonald‘s Travis McGee novels are slowly being rereleased as e-books. The first five have already been made available, and there’ll be another two released every month – there are twenty-one in the series overall, each with a colour referenced in the title. Each book also features an introduction by die hard fan Lee Child. The Deep Blue Good-by — or Goodbye. As you can see, the perenially awkward spelling has undergone a tidy-up — was first published in 1964, and the last novel in the series, The Lonely Silver Rain, in 1984. The central character of Travis McGee is a Salvage Consultant — basically, he finds things and people, for half the value of the missing item — who lives on houseboat in Florida called the Busted Flush. In the novels, which span the counter-culture of the 60s and the Reaganite 80s, McGee matures in real time. The character hasn’t really been well-served in the movies, unless you’re a Rod Taylor fan, but perhaps the books are being reissued because of the news that Leonardo DiCaprio is circling the character for a movie. But you may be more familiar with a movie based on another of McDonald’s books, The Executioners, which was published in 1957 — it’s been filmed twice, both times as Cape Fear. With Dexter almost coming to an end, American TV bosses are looking for a new friendly serial killer with which to engage audiences. 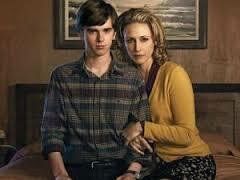 The TV prequel-series Hannibal is soon to be broadcast on Sky Living — more about that when it comes out — and now Universal has bought the UK rights to broadcast the latest adventures of our old friend Norman Bates, in the A&E show Bates Motel. It follows the adventures of a baby-faced young man who lives with his mum Norma as they open a new motel in Oregon – the motel seems to have relocated from California. Baby-faced Norman, played by Freddie Highmore, struggles with all the usual problems that young men do when they move to a new town — making friends, getting to know girls and getting away with multiple homicides. I can hear you groaning at the prospect, Psycho is a classic, innit, but actually this TV update has garnered decent reviews and ratings on its, admittedly small, network, and has already been renewed for a second season, so it may be worth – ahem – a butcher’s. The showrunner is Carlton Cuse, formerly of Lost, and Mrs. Bates looks a touch more glamorous, and certainly more alive, than she did in Hitchcock’s movie. She’s played by Vera Farmiga – her off Up In The Air and Source Code, but my sources cannot confirm whether her rocking chair makes an appearance. This entry was posted in Books, Television and tagged Alfred Hitchcock, Bates Motel, Jan Arnald, John D Mcdonald, Leonardo DiCaprio, Lonely Silver Rain, Norman Bates, Psycho, Travis McGee, Vera Farmiga on April 19, 2013 by Crime Thriller Fella.